DESCRIPTION New home owner wanted for this lovely 2 bedroom, 2 bath, double detached garage. Nicely updated home with laminate flooring on the main floor, stainless appliances in the kitchen with open plan concept to create a great entertaining area. The master bedroom has a 3pc ensuite and separate walk-in closet with ample storage space. The unfinshed basement is an ideal space to develop the basement just the way you want it with roughed in plumbing and furnace area tucked away nicely to the side. The house is in walking distance to Heloise Lorimer School (K-8) and Ecole francophone d'Airdrie (K-12) and a short drive to all the amenities. 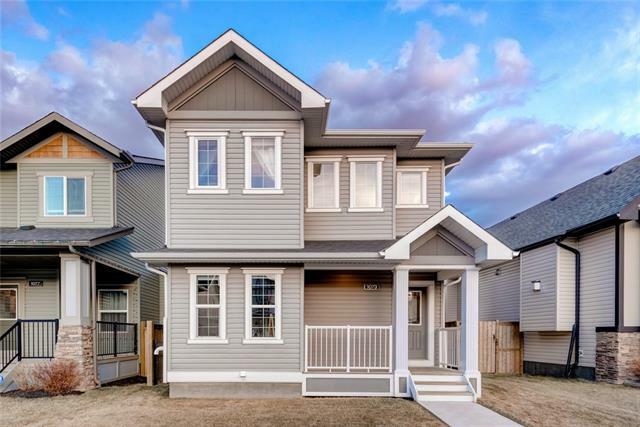 1184 Kings Heights RD Se, Airdrie, Alberta, MLS® C4237644 T4A 0K5 is a Detached, 2 bedrooms, 2 bathrooms, approximately 1,224 Sq. Ft. Listing price 365,000.00. This property was built in 2011.